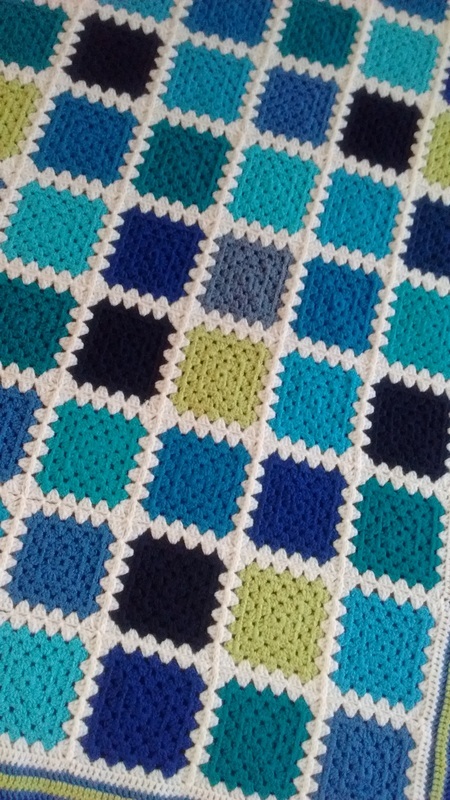 Anais thinks this should be called "Under the Sea" blanket because it is ocean colours! 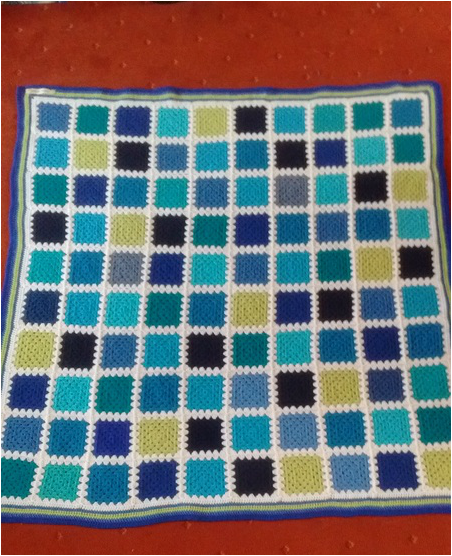 It weighs 882 grams which is just under 9 balls of wool. 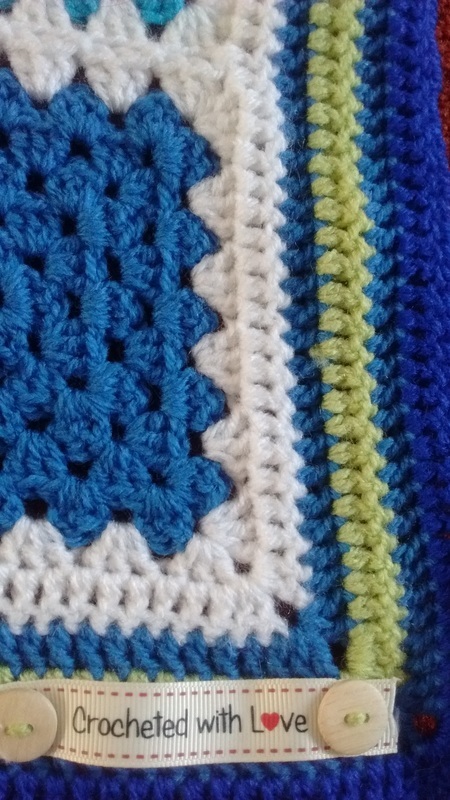 There are 6 rows to the border - a row of white trebles, a row of light blue trebles, lime green trebles, light blue trebles, dark blue trebles with a final round of crab stitch. 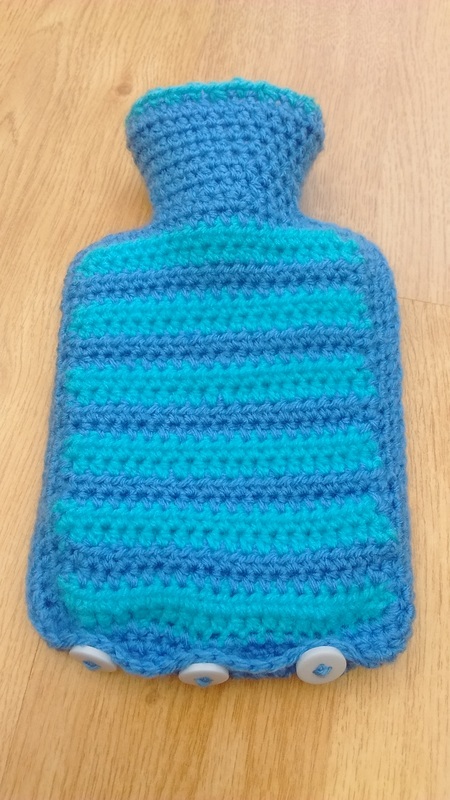 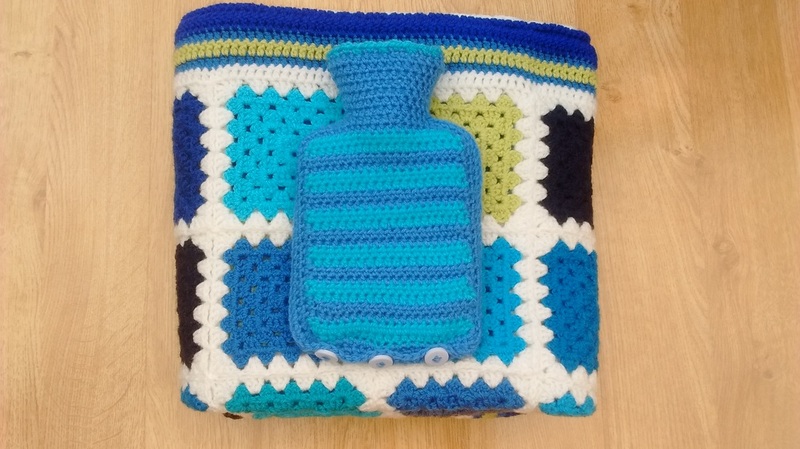 I also made a matching hot water bottle cover.